You know, that moment you’re trying to stay healthy for you and your family and a simple thing like not having the right ingredient halts your goals? And that’s after you’ve spent all your time writing down every ingredient from the recipe and heading to the store only to forget that one thing…(what is an adzuki anyway??). When you finally gather the right ingredients, the meal takes too long to prepare! A few years ago, before I started this whole health coaching thing, it used to take me 2 + hours to make a healthy meal (or what I thought was a healthy meal). I was a single mom and time was very limited. Making healthy meals didn’t last too long. Instead I made lots of Hamburger Helper or went through the drive-through almost every night. My favorite Hamburger Helper meals were Cheesy Enchilada (I used to make with tacos) Beef Pasta (with French toast), and Cheeseburger Macaroni (with regular toast). No veggies! Just thinking about it makes me cringe! I had little to no knowledge about healthy eating or living a healthy lifestyle. I did what I knew… without understanding the effects it had or that I was modeling bad habits for my daughter. I want to help you know and do better on your journey to healthy living, that’s why I created this cheat sheet for you. Here are 4 MUST HAVE ingredients you can use for healthy meal planning. Thinking outside the box and trying new things will help make meal planning easier and more fun. Beans are a wonderful way to add high-quality, plant-based protein to your diet. They are high in iron, B vitamins and fiber, and are versatile enough that you may never get tired of them. These beans have been long valued for their fiber. Just two cups provide the entire daily value. The darker colored ones appear to have greater concentrations of antioxidants. The Adzuki bean, which is also sometimes called azuki or aduki beans, are said to be the most “yang” or warming of the bean family. The lentil bean is a bushy annual plant of the legume family, known for its lens-shaped seeds. They are a great source of fiber, folate, iron, and protein. Note: Legumes combine best with green or non-starchy vegetables and seaweeds. Whole grains are an excellent source of nutrition, as they contain essential enzymes, iron, dietary fiber, vitamin E and B-complex vitamins. Because the body absorbs grains slowly, they provide sustained and high-quality energy. The quickest way to create great grains is to experiment and find what works for you. Long grain brown rice, is a lot heartier than white rice. This is truly a nutrient rich food. The more white the grain or carbohydrate the more anemic the food will be so let’s stick with brown. Soba noodles are Japanese noodles made from buckwheat flour. When choosing soba noodles, look for 100% buckwheat. Compared to other flour products, pasta is easier to digest as it is cooked in water. Whole-wheat pasta contains 4 times the amount of fiber as white-flour pasta. Soba is wheat-free and therefore a wise choice for those with wheat sensitivity. Also known as buckwheat, it prevents blood clotting. Kasha lowers blood pressure and is truly a heart-healthy food. Kasha is completely gluten-free and suitable for those with celiac disease. Green vegetables are the foods most missing in modern diets. Learning to cook and eat greens is essential to creating health. When you nourish yourself with greens, you will naturally crowd out the foods that make you sick. Nutritionally, greens are very high in calcium, magnesium, iron, potassium, phosphorous, zinc and vitamins A, C, E and K.
Now, I’m sure we all know about this veggie. Kale is a leafy green that is a member of the cabbage family. It is one of the most nutrient dense foods and there are many different types. 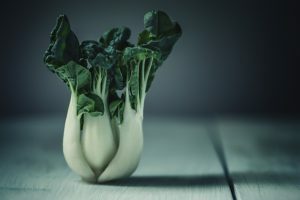 Bok choy or pak choi is a type of Chinese cabbage. It is a leafy green that is connected to white stalks. It’s a great antioxidant, bone strengthener and is heart healthy. Spinach is a super food loaded with tons of nutrients in a leafy green package. It is great for individuals with diabetes and is good for reducing blood pressure. Note: Spinach is best eaten in moderation because it is high in oxalic acid, which depletes calcium from bones and teeth, and may lead to osteoporosis. There are so many greens to choose from so find greens that you love and eat them often. When you get bored with your favorites, take an adventure and try greens that you’ve never heard of before. In many parts of the world, winter, spring, summer and fall have different temperatures. Differences in weather gives us different crops. Nature gives us what we need to be our healthiest selves during each season, so be sure to stock up on your seasonal veggies. For example, we get squash and potatoes in the fall to help our bodies warm up as we enter colder weather. Spring = Avocado, Asparagus and Zucchini. Now that you have your 4 must have healthy ingredients… Let’s start healthy meal planning! I am an awesome lady, a wife to a native of the Caribbean who is also a vegetarian, a mom to two amazing daughters (and another on the way), a simple, healthy eating & lifestyle strategist, a JumpFit Cardio Instructor & Certified Holistic Health & Lifestyle Coach at So7Health.com. I help busy, career moms by giving them time-saving, strategic kitchen solutions. In my private practice and through my programs I’ve helped many women achieve their health & lifestyle goals. 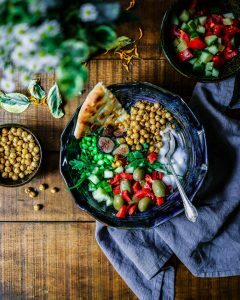 I love to support my clients by creating simple, healthy eating and lifestyle strategies specifically tailored to their needs; which leads to a healthy and complete life. Being a mom is the hardest job in the world, and in order to sustain that job plus the many other jobs you have, you need to be whole within yourself.